Celebrating Orientation in all of its confused and awkward glory, the first episode of Brunonia, our spin-off of Carrie Brownstein’s and Fred Armisen’s Portlandia, is a must watch. Remember Freshmen Orientation? Remember being confused 99.99% of the time? So do we. Though I am a bit hesitant to write this post (obviously due to the thousands of Brown students who will undoubtedly read it), there is a study space that must be taken advantage of during this stressful finals season. While the Rock and SciLi capture the traditional tension in one’s finals week hell study habits, there is a beacon of hope that is situated a mere ten-minute walk away. That my friends, is RISD’s Fleet Library. Though most of you are not affiliated or even familiar with our art-oriented sibling down the hill, your Brown ID is your ticket into the vaulted paradise that is Fleet Library. Unlike the dreary setting of the Rock or the far too sociable environment of the Sci-Li, Fleet Library is absolutely stunning and provides the ordinary Brown student with the vision of what a Brown library could be (unfortunately you will have to keep dreaming). Located at 15 Westminster Street (or 15 West as the RISD kids call it) in downtown Providence, Fleet occupies a space that was once the Rhode Island Trust bank and boy, did the school truly do wonders in converting it. 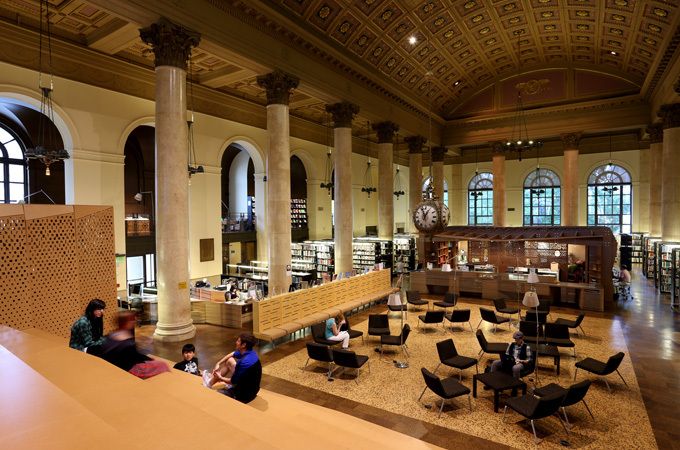 Beyond its ornately decorated ceiling, imposing chandelier clock, and grandiose Corinthian columns (shout-out to Architecture Professor Anthony Vidler and History Professor Kenneth Sacks), Fleet Library is truly modern and modular in character. The beautiful space provides students with unique study nooks and an elevated plateau chockfull-o-tables that holds an inspiring view of the entirety of the library. Sick of the Rock food cart and its disappointing assortment of Clif Bars? Luckily for you, just outside of Fleet Library is Portfolio Café, which serves a variety of cuisine, but more importantly, has a soda fountain machine with RC Cola (a must try). The café provides a pleasant study break and allows one to refuel while chipping at that 20 pager. 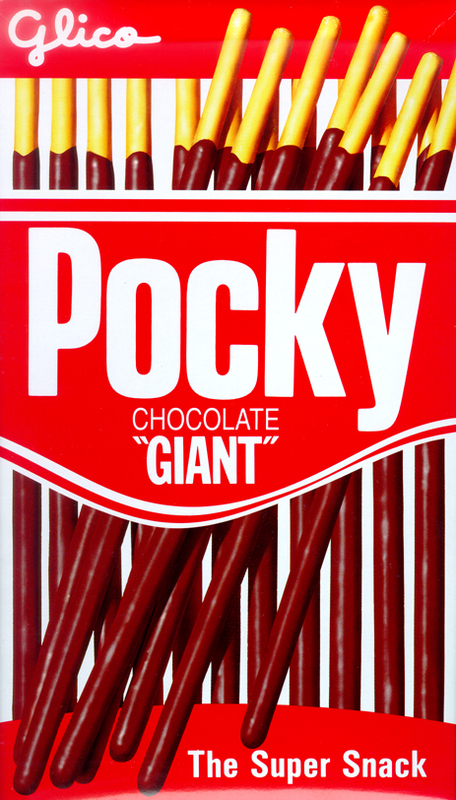 It also holds shelves of Pocky. Shelves. Fleet Library adds a much-needed dynamic to your finals’ preparation plans, and is a valuable resource for all Brown students. While Fleet may not have the textbook for your upcoming Orgo exam, it does offer a pleasant environment for studying and a nice change of pace from the infamous Rock-SciLi duo. I hope you make use of Fleet in the next week and a half…just maybe not ALL of you. Ra Ra Brunonia! RISD! The Fleet Library at RISD is open from 8:30am-11pm Monday-Thursday, 8:30am-8pm Friday, 10am-6pm on Saturday, and 12pm-11pm on Sunday. Ever wanted to know what Brown looked like in the 1960s… in grainy color film? This is your opportunity. This particular video highlights the Engineering program at this fine Ivy League institution and does include some stunning aerial views of the campus. Definitely worth watching, despite the lack of dynamism (and movement) in the interview segment. Ra Ra Brunonia! Though Spring Week Weekend is now a thing of the past, the Brown University Library offers a unique tool to help you relive the moments of old (old truly being the operative word). The digital “Images of Brown” portal serves as a comprehensive database of images that captures the archival history of any and all that is affiliated with the University. Though I am sure you are quite overwhelmed by the frequency of the Ra Ra Brunonia column, there is always room for more. The vast archive holds images that range from buildings to athletic contest to campus-wide events—now you don’t even have to walk up to the Ladd Observatory (yes, we have an observatory). For all of you legacies out there, this is your chance to possibly dig up some serious dirt on the parents. Though this database could be construed as an antiquated form of Facebook stalking, let’s just tell ourselves that this is a (slightly) more productive method of procrastination. As such, we have compiled a number of images to give you a taste of all that the archive has to offer (but seriously, try to find your parents). Brown is truly an old institution and the database has the evidence to prove it. But, like a fine wine, Brown seems to have aged well. Scour away! Main Green circa 1879. Where are all my slack-liners at?! G-C-B. Three letters that have an incredibly unique connotation within the context of the Brown bubble. Though a simple Google search yields results that include a recently cancelled sitcom on ABC, “Global Corruption Barometer,” and “Genomics and Computational Biology,” on College Hill, the three letters bring to mind one thing and one thing only: the Graduate Center Bar. The Graduate Center Bar occupies a place of magic and mystery for the majority of one’s time at Brown. Faint conversation rings throughout campus: “I heard they serve free drinks there!” “I can’t wait to turn 21 so I can have my first beer!” “Why are you sitting with us?…” Despite the somewhat legendary status of the bar, the GCB does have quite a unique historical relationship with Brown as an institution. Rhode Island Hall seems to be one of the more unnoticed buildings on the Main Green—some only know it as Joukowsky, while others have never set foot inside. Little do people know that Rhode Island Hall has an incredibly cool history… and even used to home to a large collection of taxidermy (among other things). Yes, you read correctly.